We received a brochure in the mail a few days ago, mailed to “Our Neighbor”. The brochure came from BJ’s Wholesale Club in Olean, NY. BJ’s was offering its neighbors a 60-day free membership. I wouldn’t exactly call a company in Olean, NY our neighbor. Olean is located a little more than 50 miles from our house. What to do on a rainy day … how about a trip to BJ’s to see what is there? We found a few things at BJ’s not available at our nearby Sam’s Club. We walked out of BJ’s with about $100 less cash. On our way home from Olean, we drove by way of Bradford PA making one stop at the Willow Dale Duck Pond. the day that we first discovered the duck pond. The duck pond is located along Route 346 a few miles west of downtown Bradford. 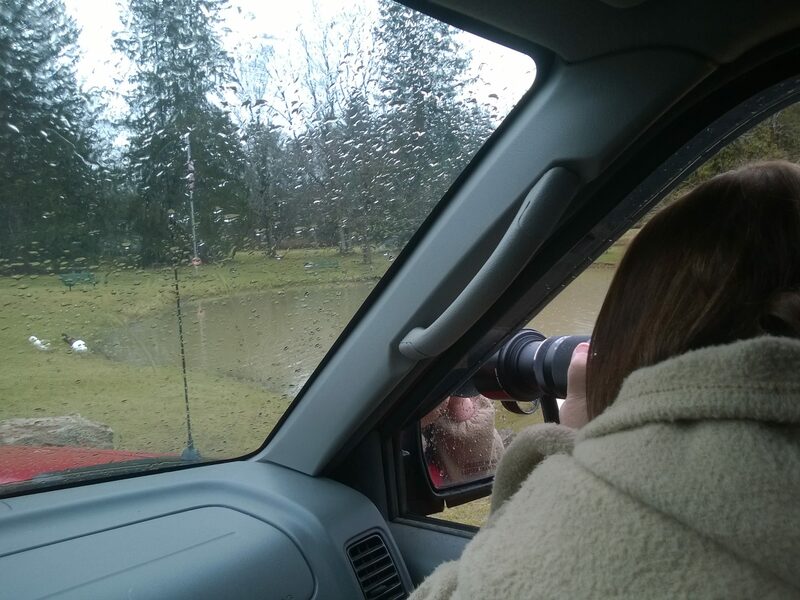 and I took photographs of the four resident ducks from inside our car. It was fine weather for ducks. Linda, Pretty shots of the pond and ducks.. Or are some of them domestic geese? Happy weekend! Unusual looking ducks on that pond, must be cross breeds. I would say that is a ‘Ducky” post.. Have a great weekend. I loved those ducks and goose, a pretty area and worth the drive.